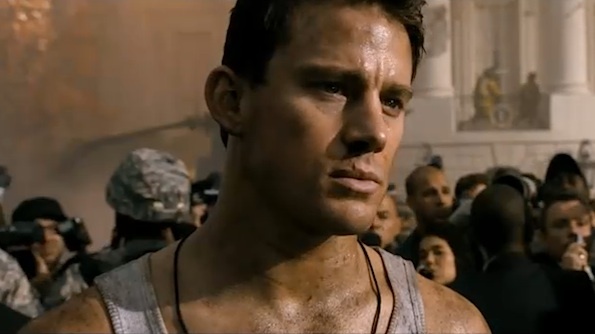 Channing Tatum gets semi-serious in White House Down. Like John McClane if Die Hard had sucked been about a member of the Secret Service looking for his daughter with the president (Jamie Foxx). Looks like a dirty Charming Potato saves the day after terrorists blow up the White House. Rocket launchers and exploding planes are involved because the guy who directed 2012 worships Michael Bay.